It's OK if deep frying gives you the shivers. Maybe it's because the thought of plunging cold food into hot oil makes you break into hives, or maybe you just don't like the hassle, or maybe you'd prefer it if your house didn't smell like the county fair. 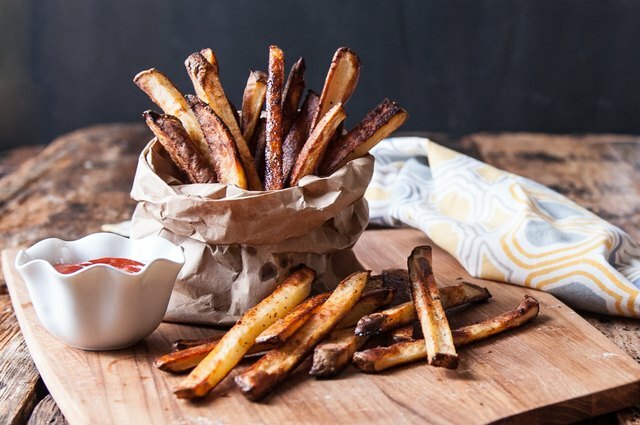 That doesn't mean you need to suffer through soggy homemade fries — you're too good for that. Turns out, you don't need that vat of oil anyway. 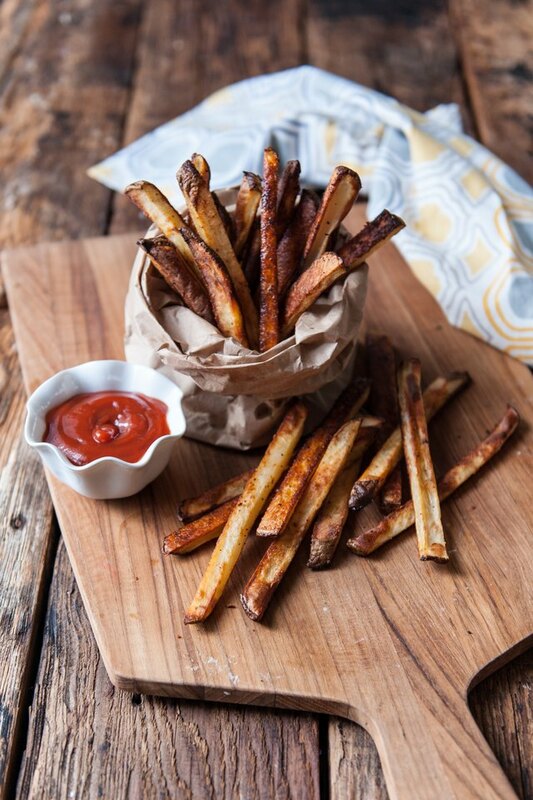 You can have perfectly crispy fries without the mess. 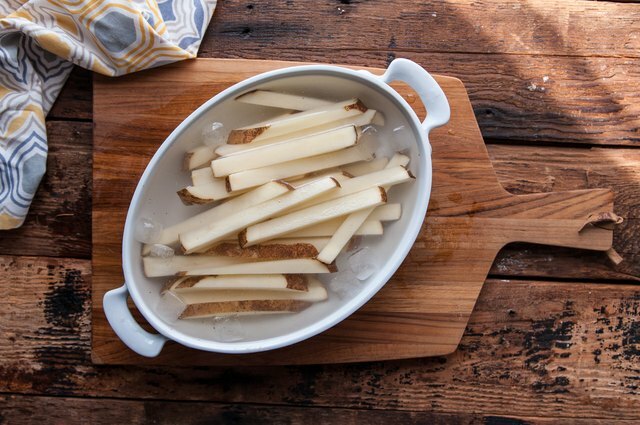 Slice the potatoes into ½-inch thick slices. Peel if you’d like, or leave the skin on. Either way works just fine! Add 4 cups of warm water and 2 tablespoons salt to a large bowl or baking dish. Stir until the salt dissolves. Add the ice cubes, and stir until the water is cold. (Warm water will help the salt dissolve and ice will bring it down to the right temperature to brine). Add the sliced potatoes. Place in the fridge and chill for 1 to 3 hours. Brining is a way to season the inside of a potato because the salt water penetrates the slices and seasons them inside as well. 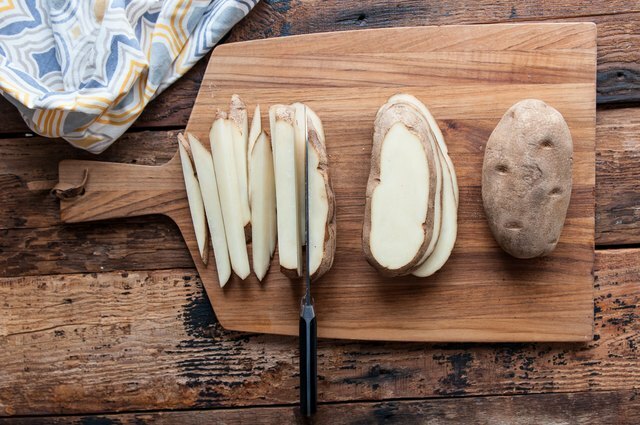 It also disrupts the starch, pulls out additional moisture, and allows the potatoes to get even crispier with a creamy, soft center. 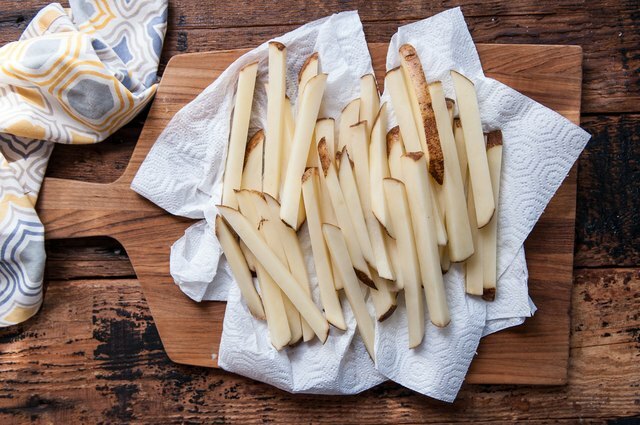 Remove the potatoes and pat dry with paper towels until completely dry. Preheat the oven to 425 degrees F. Stir together the remaining teaspoon of salt, garlic powder, black pepper, and smoked paprika in a small bowl. 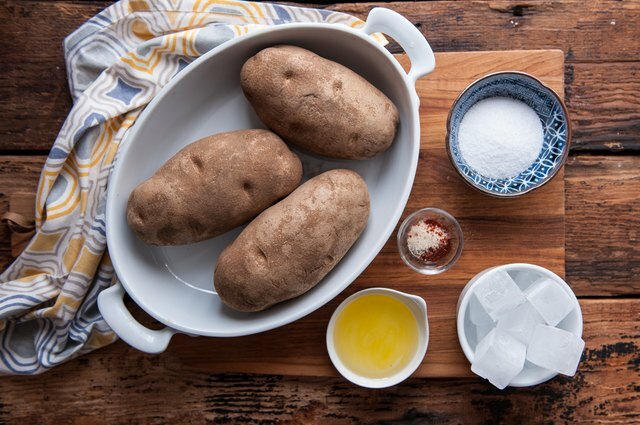 Add the potatoes to a baking sheet (use two if necessary; potato slices should be in contact with the sheet and not touching the other slices) sprinkle with the seasoning, and toss to coat. Drizzle with the oil. Bake at 425 for 20 to 25 minutes or until golden brown.